As you may know, every consumer is legally entitled to one free credit report every year from each of the major credit reporting agencies: Equifax, Transunion, and Experian. Can business owners get a free business credit report online every year, too? Unfortunately, there are no current laws requiring business credit agencies to provide free annual business credit reports. We know credit reports affect many aspects of our lives. It affects mortgage rates, credit card approvals, insurance premiums, auto loans, and sometimes our ability to gain employment. 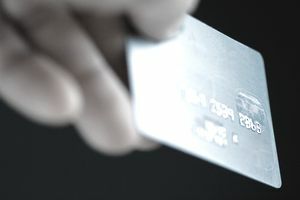 In addition to businesses and lenders reviewing your credit profile, it is equally as important for consumers to conduct periodic reviews to detect identity theft and address discrepancies. While there is an abundance of sites offering free consumer credit reports, there is only one official site explicitly directed by Federal law to provide them: annualcreditreport.com. This site enables consumers to obtain their free annual reports online from each of the major credit reporting agencies. For businesses, there are also three major reporting agencies, Dun & Bradstreet, Corporate Experian, and Equifax Small Business. Lenders, creditors, suppliers, and businesses obtain business credit reports from one or more of these agencies to assess the creditworthiness of a company. While consumer credit reports and scores play a major role in our lives, business credit reports play a major role in the operations of companies. A business credit report can dictate the terms of debt financing: approval or denial, interest rates, and the terms of repayment. It also impacts the company’s insurance premiums and may impact its ability to secure potential business partners or investors. For the latter, a poor credit profile acts as a deterrent to most investors. Until federal law mandates that business credit reporting agencies provide business owners with a free annual business credit report, there are some free services that offer the next best thing. For example, Dun & Bradstreet Credibility Corp has the first and only product, CreditSignal®, in the marketplace that provides free business credit score access. It’s an invaluable tool that provides alert notifications when there are changes to scores and ratings and enables business owners the ability to manage and monitor their company's credit profile. Also, one can view how often their company’s file is being accessed by inquiring creditors, suppliers, or businesses. However, reviewing a detailed business credit report from any one of the major business credit agencies requires a purchase. It is advisable for business owners to obtain a business credit report at least every six months. Check for errors, inaccuracies, or outdated information, and update your file as soon as possible by contacting the business credit agency. It’s entirely up to you to police your business credit reports to ensure they are accurate and up to date. Even though credit reporting agencies have their data mining and data collection procedures checked and rigorously verified, mistakes do occur. Monitoring the credit profile is an important step in protecting the company's reputation and good standing. Let’s hope that a free business credit report online may be available sometime in the near future. But for now, we’ll have to settle for paying a fee for one. Be sure to take advantage of free access to business score changes and updates with products such as CreditSignal®. It’s better to know firsthand when changes occur rather than finding out later when applying for credit.